Waylon......can you do this to my truck?? I want that as a boat wrap. Can you do that Waylon? Thanks. Last edited by bassn; 03-11-2012 at 12:45 PM. The only down side to it is if you screw up, you might as well go to the closest police station and turn yourself in. No one going to forget the fish truck!! It's still badass!!! What this country needs is a department of common sense. 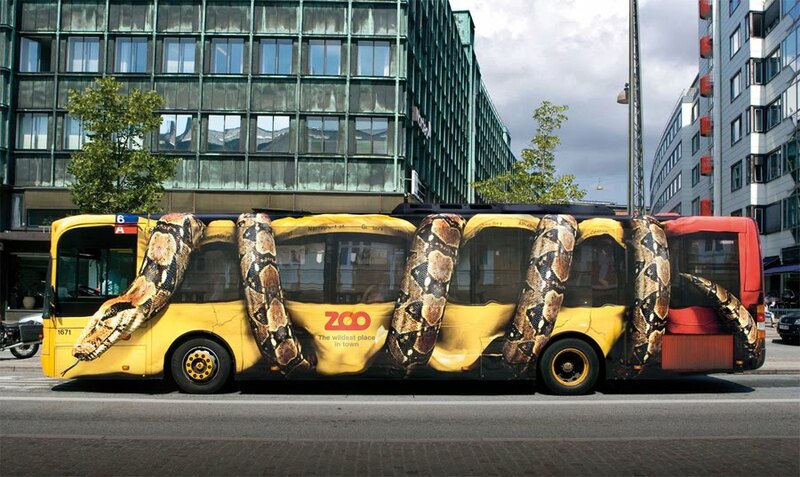 Saw this zoo ad and thought it was awesome. Dez, BassBlaster and BrandonA like this. Sorry, Chris - don't mean to jack your thread but want to share this one, too...something you just don't see every day: all-chrome wrap. This would look wicked on my CR-V with all the hail dents...kinda like Terminator 2.
wakegraphics.com Austin Texas based company. Look it up. Those are all cool stickers . BassBlaster and NjTexan like this.